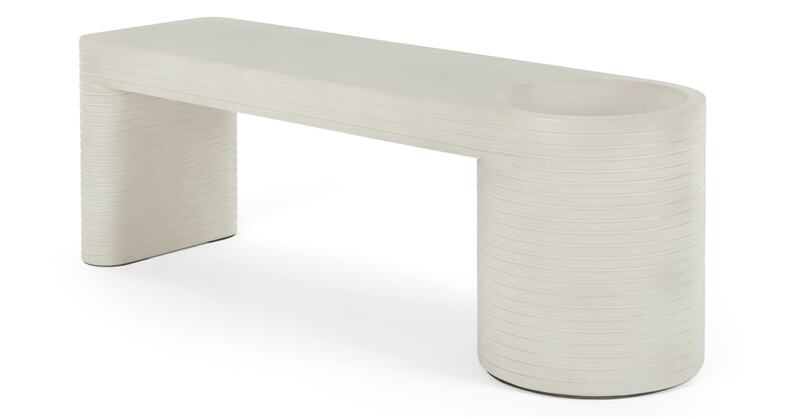 Part bench, part planter – make the most of your outdoor space with a piece that's the best of both. In grey concrete, it'll add an industrial feel. Lahan's big on form and function. Its slick design – solid and sturdy – will stand out wherever you put it, but we recommend not tucking it away – nobody wants to sit in the corner. One end has been cleverly carved out to hold a medium sized plant pot. Add your favourite flora to give this garden bench extra appeal.